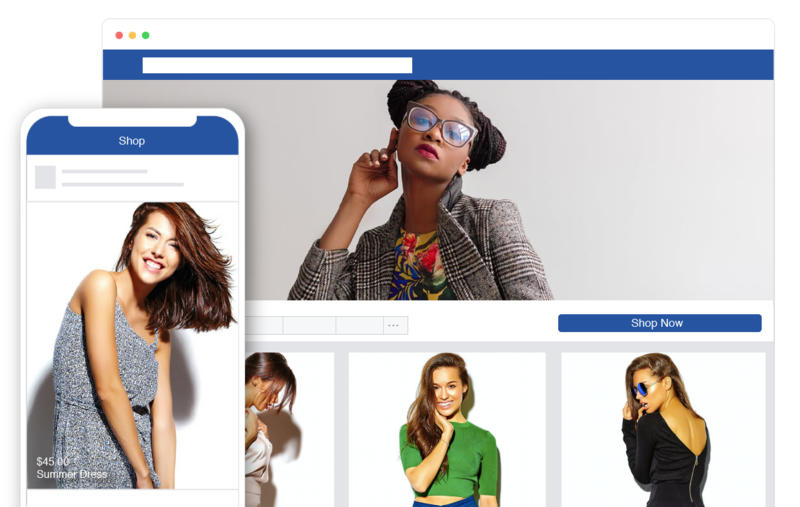 When you connect your Selz store to the new Facebook Shop, Facebook creates a mobile-friendly section on your Facebook business page that displays your Selz products. The Facebook Shop can be viewed on desktop, mobile, tablets as well as the Facebook app. Once added, Selz will automatically sync all of your product information to keep your product inventory up to date without any additional effort from you! All orders from Facebook are still managed from your Selz dashboard. You have a Facebook page for your business. Learn how to create one here. That you are an admin on your Facebook business account and that your page is published. Be sure that the products you are selling also comply with Facebook's Commerce policies. Your store's currency will also need to be supported by Facebook. Learn more here. When you have made sure of the above, move on to the next steps to connect your Facebook shop. If you already have an existing Shop section on your Facebook business page, the products there will be deleted and replaced with the new products in your Selz store. So make sure you are happy to remove those items before proceeding. Go to your Selz Dashboard and click Facebook from the left navigation. 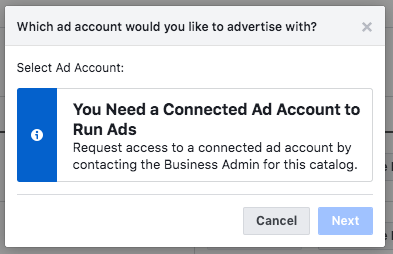 Click 'Connect' to be taken to the Facebook Ads Extension modal. Click 'Next' to select your Facebook business page from the dropdown or click 'Create a Page' to make a brand new business page. The page you select here will also be the page that represents your business if you plan on using Facebook ads. Be sure that you are logged in to the Facebook account that manages your business page. Choose your Facebook pixel on the following page. If you haven't created a pixel for this account, there will be an option to accept a generated pixel at this stage. Click 'Next' to proceed to the next steps. 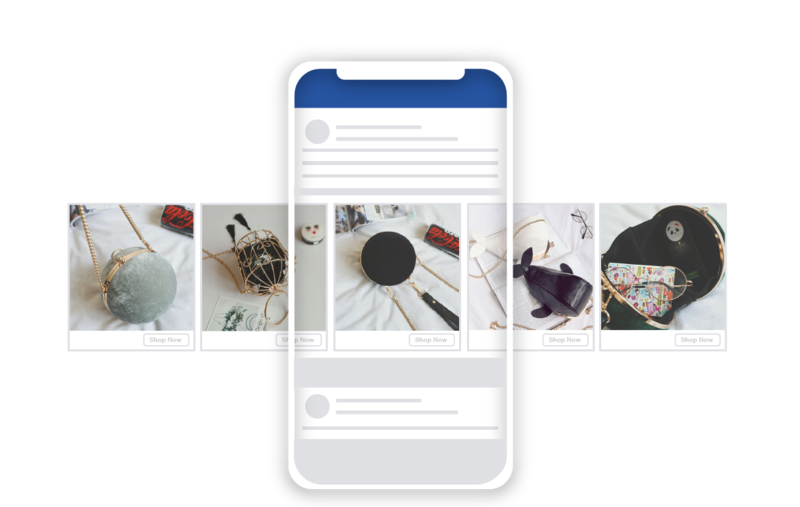 Now, you can decide if you want to display your entire shop or if you simply want to create a catalog of products that you can feature in Facebook ads. If you decide to turn the Page Shop off, the Facebook shop will be created and all products will be synced to the Catalog but no collections/product sets will be made. Click 'Finish' to begin importing your products to Facebook. Shops and products are usually reviewed by Facebook within 24 hours. Once your products have been added to the 'Shop' section of your Facebook Business page, they will be sent to Facebook for review. You can always check their review status under the 'Pending review' tab. The review process can take up to 24 hours to complete, but you will begin to see your products on Facebook within 1-2 hours. If Facebook rejects one of your products, you can appeal this decision. 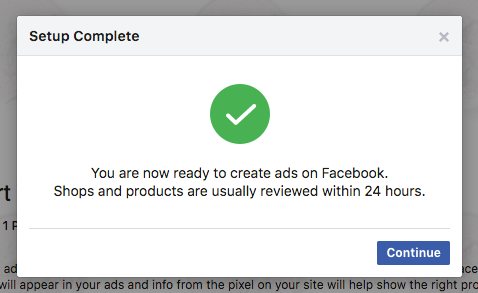 You can send test traffic to your Facebook pixel on the final set-up page and then create an ad when your products have been approved. Video previews on any of your Selz products will not be supported by Facebook Shop. You will need a Facebook ad account to promote items from your catalog across Facebook, Instagram, Messenger and Audience Network. Create an ad account now. A catalog contains info for all products that you would like to advertise in your Facebook ads. 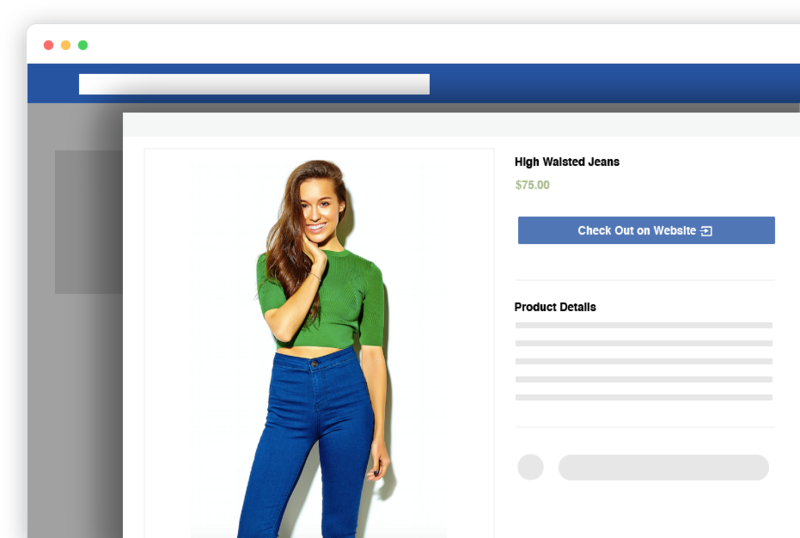 You can use a catalog with multiple Facebook ad types and formats, including dynamic ads and the collection ad format. Keep track of all of your products and use them seamlessly with your ads in one place. Create targeted ads to customers who have already shown interest in your business through dynamic ads. Share your product inventory to people on mobile devices through collection ads. A product set is a grouping of related products in a catalog. With product sets, you have more control over the specific items in your catalog that show up in your ads. One catalog can have many different product sets. Learn more about setting up a product set. When you add products to your Selz Site, they will be added to your existing catalog on Facebook. You'll be able to group them into product sets for more control over what appears in your ads and the pixel on your site will help show the right products to people who want to buy them. Locate your product catalog by clicking here and then check out Facebook's article for help along the way. Since you have added your products using the Selz Facebook shop, you will not be required to provide an additional data feed or to add any products manually. 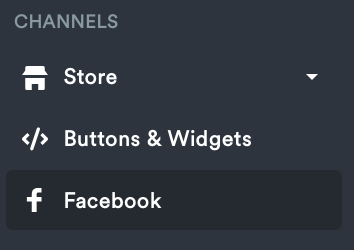 If you need to edit your settings, update your connection or remove your Facebook shop, you can do so by clicking 'Facebook' from your Selz Dashboard. 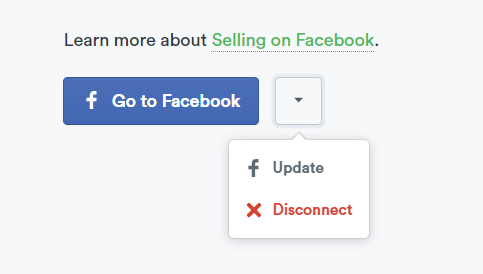 Now you can click 'Update' to change your settings, or click 'Disconnect' to remove the connection. 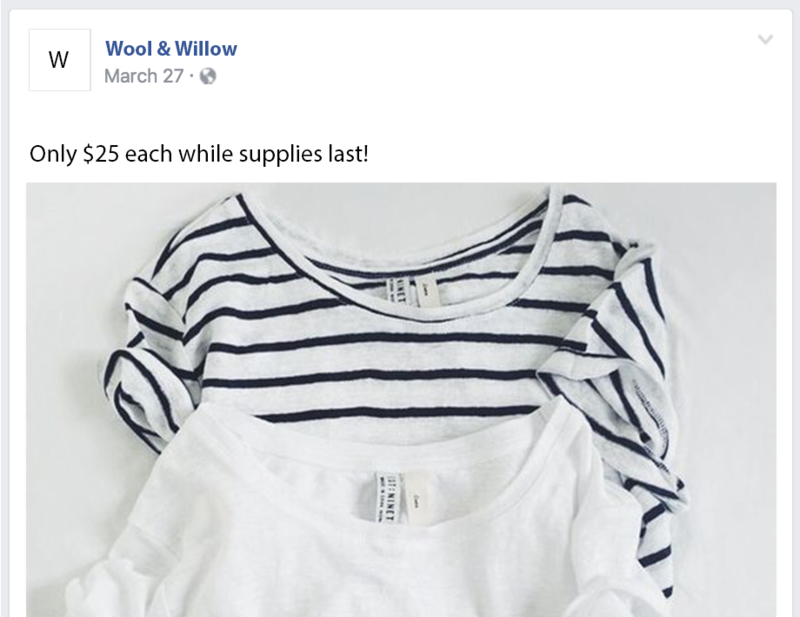 You can also sell on Facebook using a shared post that appears on your timeline. Please note that products can be automatically shared on your Facebook Business page and not your personal Facebook account. Set this up by going to Settings > Sharing. From there, choose Facebook, Twitter, and/or Pinterest, and connect your accounts.